So said Luca Formentini, President of the Consorzio of Lugana, at the 2018 Wine Bloggers Conference in Walla Walla Washington. 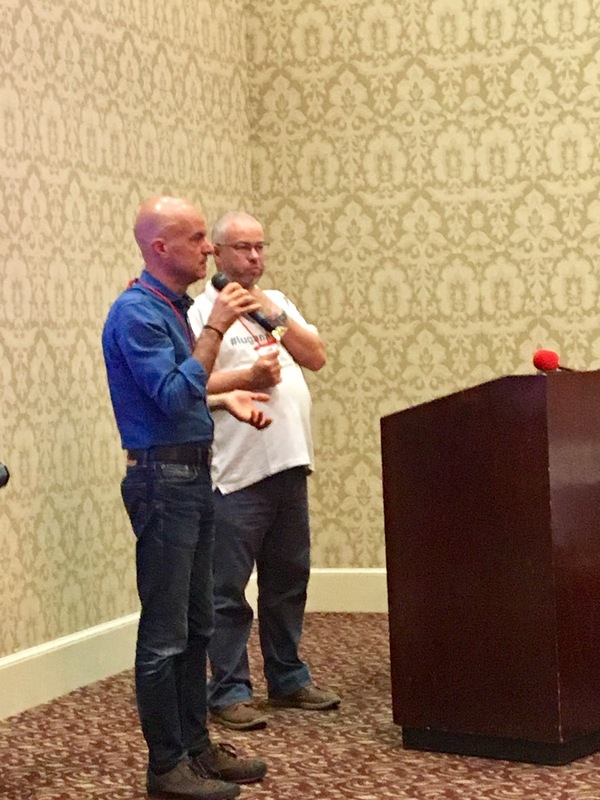 Luca was joined by Carlo Veronese, Director of the Consorzio of Lugana, in presenting an educational wine tasting session for wine media about this small DOC region in the picturesque area near Lake Garda, Italy. So -- what was this weakness that Luca admitted to in Lugana wines? Quite simply, not being Chardonnay – probably the world’s most recognized white grape. There was a time when off-grid wines like this one would spur buyers to move on as they browsed the shelf. All Lugana must be at least 90% Turbiana – a grape few consumers have heard of – and any additional grapes added must not be aromatic. But today, there is greater open-mindedness among sommeliers and consumers both. Today, being “anything but Chardonnay” is a plus. It doesn’t hurt that Lugana wines are well-crafted and balanced, with a bright acidity as well as round fruit and mineral flavors. A variety of wine-making styles is also producing more serious Lugana wines that can pair with elegant cuisine - in addition to lighter style ones that hit the spot on a hot day. Lugana DOC Selva, Selva Capuzza 2017 – Bright flavors of white peaches and almonds and a refreshing acidity make this wine a delightful white with a round mouthfeel and good finish. 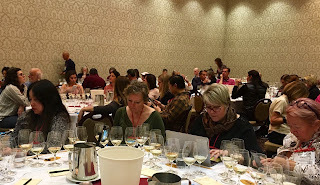 Lugana DOC Molin Ca Maiol 2017 – Rich, almost oily, mouthfeel, dense flavor with bitter almonds, salinity, and white peaches plus a long finish. A wine to contemplate. 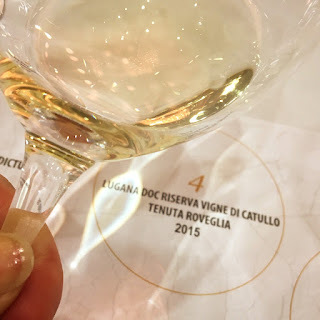 Lugana DOC Riserva Vigne di Catullo Tenuta Roveglia 2015 – Crushed almond and chamomile nose, on the palate there was round, mouthfilling fruit including white peaches and kiwi, finished with a bit of minerality. This riserva is fermented in steel tank, and (surprisingly for a wine so complex) it sees no wood. Lugana DOC Back to Silence Ottella 2017 – The only orange wine from Lugana, this wine had a rich mouthfeel, with complex layers of fruit and nutty flavors and high acidity. It is yet another style and presentation of what wines from Lugana can be. 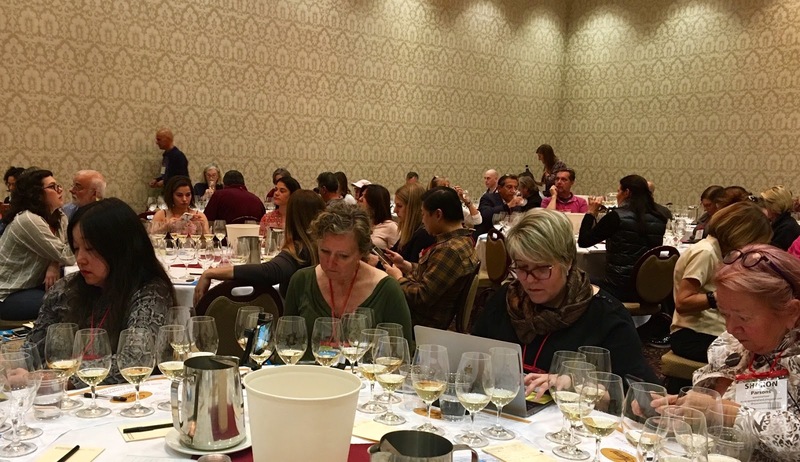 I’ve had the privilege of tasting wines from this beautiful region a number of times over the years, and I see a uniform rise in quality and courage – with winemakers expressing their individual visions for the Turbiana grape. I look forward to tasting an even broader expression of these wines in the future.